When packing meat with bones into a shrink bag or vacuum bag, some bones can pierce through the bag leading to high leaker rates and more customer complaints. FPT Boneguard/Bonecover can be used to significantly reduce your leaker rate. 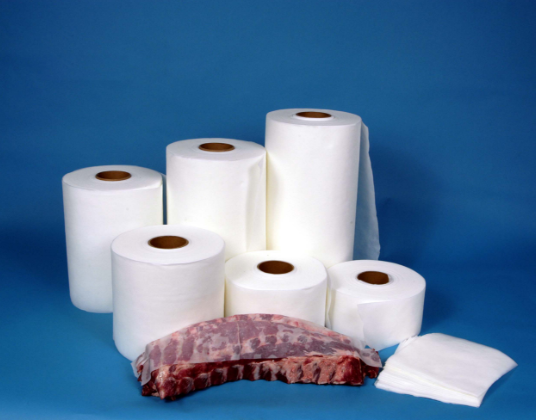 FPT Boneguard/Bonecover can be applied to the meat at ease, before it is packed, into a shrink or vacuum bag. This protective cover will help you reduce not only your leaker rate but also customer complaints. FPT Boneguard/Bonecover can be ordered in rolls, perforated rolls, sheets, various widths and lengths and can be tailored to your specific needs.